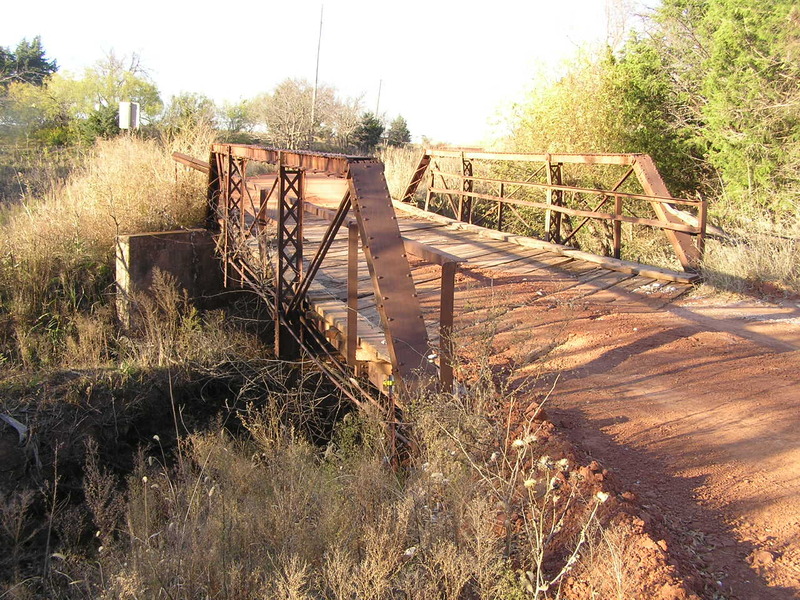 Built in 1920 by the Canton Bridge Co., of Canton, Ohio, this is the only skewed half-hip pony truss we've seen in Oklahoma. 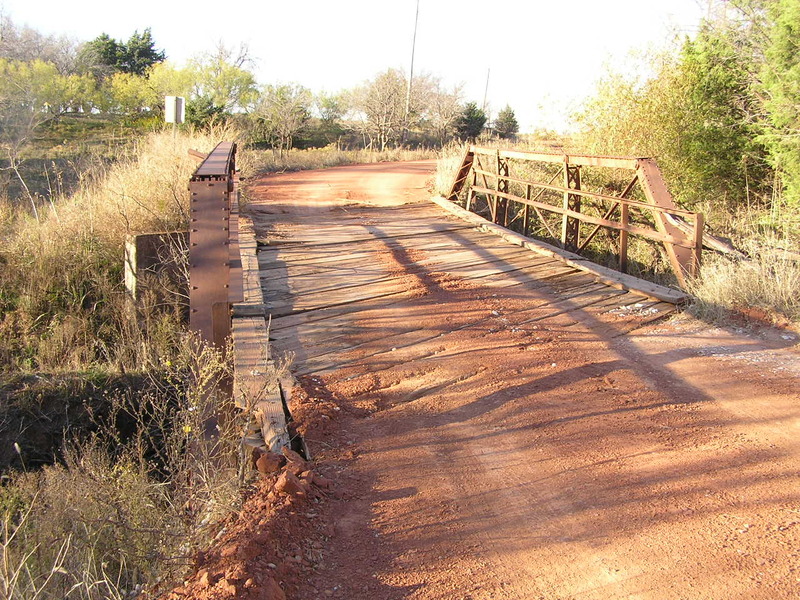 This bridge consists of a single span, without approaches. 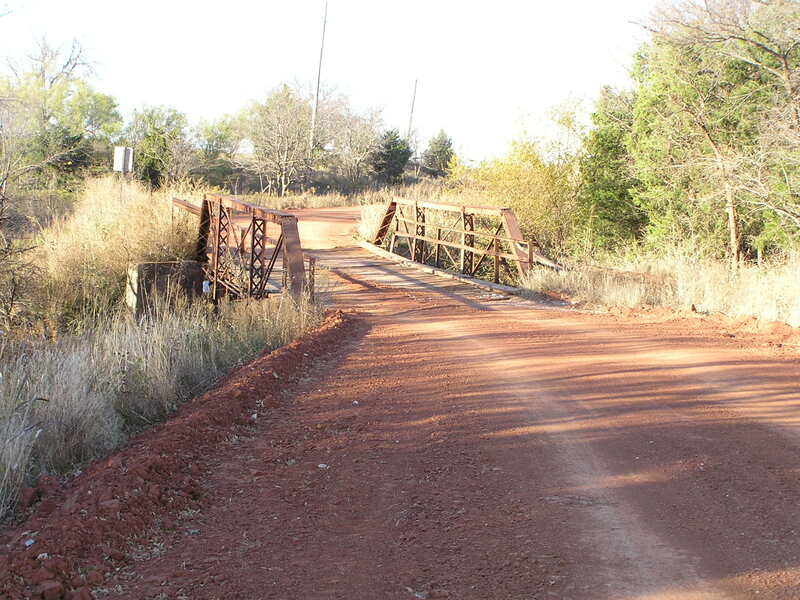 The length of the bridge is 40 feet. Above, a view looking north. Below, the remains of the builder's plaque. These are normally a casting that covers the hip joint, but as you cans see, much of it is missing, and it is even upside-down. Also note the hip looks a little, funny, doesn't it? 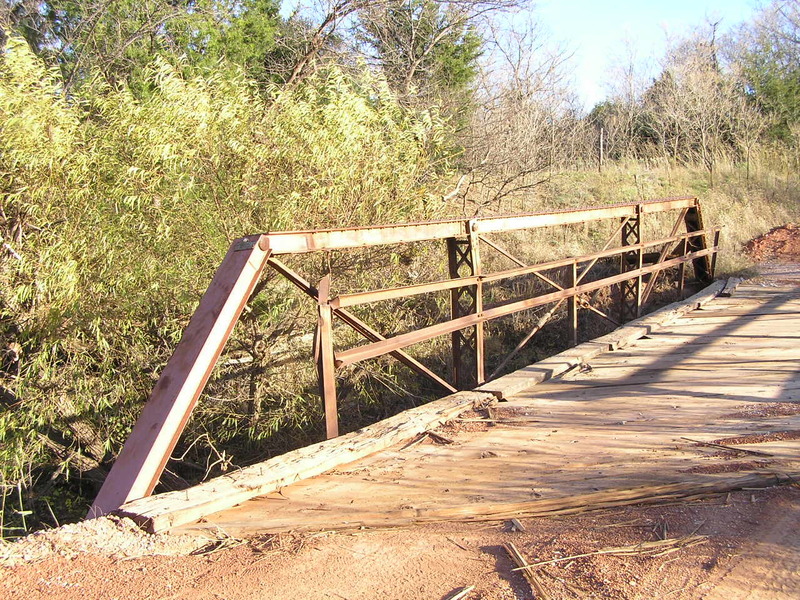 Above and below, the northeast endpost and a short length of the upper chord have been replaced. We are stunned!!! Looking at the repairs, they are actually quite good. If you will notice in the view below, they did do a good job recreating the endpost, complete with lacing. There is a fair amount of labor here in doing this. 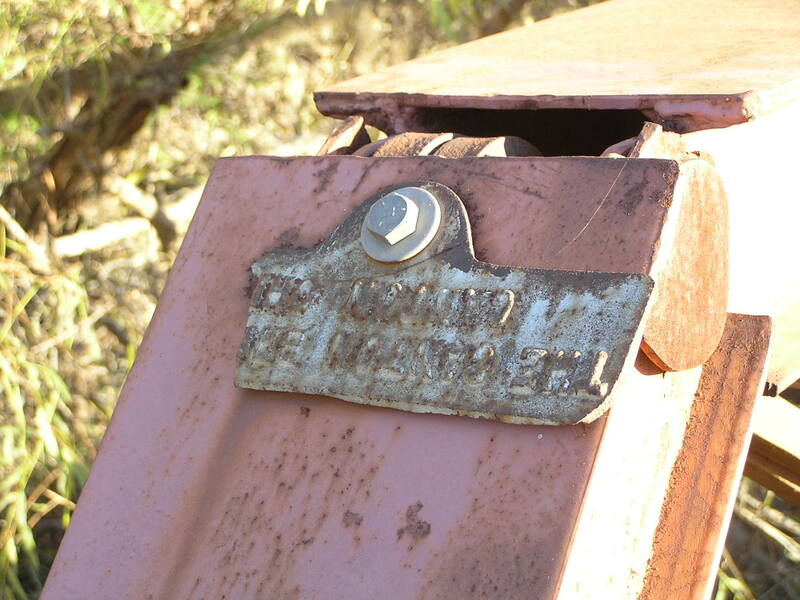 You can also see the remade pin, and they did a good job in matching the size of the channel that is used in the upper chord and welding them together solid and straight. Above, in this view, you can see the construction of the truss more clearly. Below, this view shows the skew clearly. The skew is one panel. 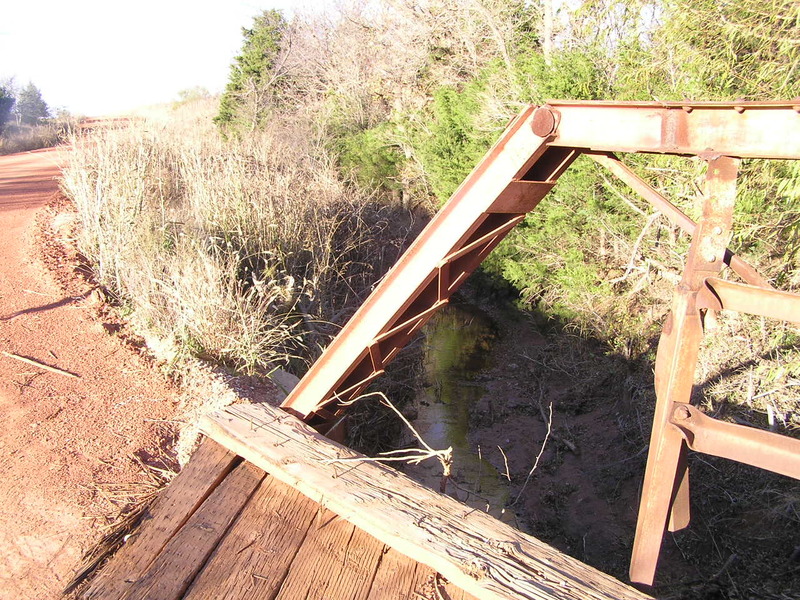 We were surprised to see the effort spent on keeping this bridge standing.